We are delighted to confirm that our closing keynote speaker for the 2019 IR Society Annual Conference will be Sarah Bates, Chair of Merian Global Investors. Sarah Bates is Chair of Merian Global Investors. 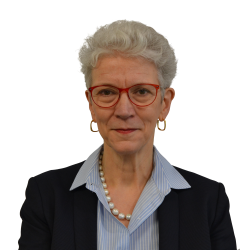 She has over 38 years’ experience in the financial services industry, including nearly 20 years of experience in non-executive board positions in publicly-listed companies, investment trusts and pension funds. Current roles also include chair of the Polar Capital Technology Trust Plc, non-executive director of the Worldwide Healthcare Trust plc and a member of the investment committees of the BBC Pension Scheme and the Universities Superannuation Scheme. Sarah recently stepped down from her position as chair of St James’s Place Plc after 14 years on that Board. She was also Chair of the Association of Investment Companies and of JP Morgan American Investment Trust plc and Witan Pacific plc, and audit committee Chair of UandI plc. She started her investment career in 1980 as a stockbroker and moved into asset management in 1982, working as a fund manager, head of UK equities, joint CIO and CEO of Invesco’s UK institutional business, leaving in 2003. She is a fellow of CFA UK. Sarah is also actively involved with charitable initiatives, including holding a trustee position at The Liver Group Charity and having chaired a small youth charity. She is the benefits of diversity within the investment management and savings industry and is one of the founders of the Diversity Project and chair of the Diversity Project Charity.